Find the best vacation rental for you here at VIP Beach Rentals! Check out our one, two, three and four bedroom Gulf Front rentals right here!! Beach Breezes! Sea Gulls! Sting Rays! And MORE! Updated Princess Condo on the East End of Panama City Beach! Beautiful Beachfront Vacation Rental Condo! The Best Oceanfront Views on the Beach! Updated Beachfront Panama City Beach Condo! 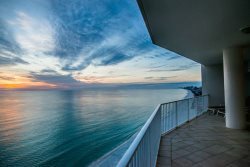 Beautiful Panama City Beach Oceanfront Condo!